Up to 50% off Dyson, Hoover, and iRobot. Up to 30% off storage for spring cleaning. Most of us can admit that cleaning isn’t our favorite pastime. But it must be done, so why not clean and organize with the best, most efficient choices on the market? Whether vacuums, storage bins, or cleaning products, check out eBay for great deals on everything you need for home cleaning and organization. Wood, high-pile carpets, bamboo, tile—floors can be one of your biggest cleaning challenges. 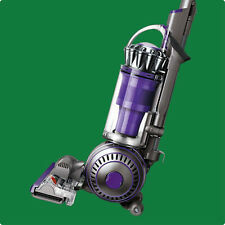 Browse vacuum cleaners from respected brands like Dyson, Eureka and Electrolux, among others. If it’s tile and wood flooring you need to get spick and span, check out eBay’s collection of mops and brooms, including those from the popular Rubbermaid brand. Sometimes dirt gets ground right into the carpet. 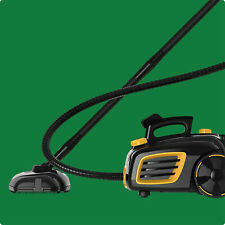 When deep cleaning is necessary, it’s time to start looking at carpet shampooers. Try Bissell for those soiled carpets—their carpet steamers will help get those muddy paw prints out! For something smaller and more portable, browse a variety of handheld carpet steamers. Once the cleaning is done, there must be a place for everything, and everything must find its place. eBay has clothes hangers, storage bags, garment racks, closet organizers and shoe organizers to get your wardrobe under control, as well as magazine racks, desk organizers and drawer organizers to keep the clutter at bay. While it’s not everyone’s most enjoyable way to spend a Sunday afternoon, cleaning and organizing makes our living space a more attractive and comfortable. Look no further than eBay to find all the tools and organizing equipment you need to get your house in order. And our buying guides will help you in your quest to eliminate clutter and save time.